The new S-400 Triumph surface-to-air missile system after its deployment at a military base outside the town of Gvardeysk near Kaliningrad, March 11, 2019. Turkey's purchase of Russian air defense missile systems should not trigger U.S. sanctions because Ankara is not an adversary of Washington and remains committed to the NATO alliance, Defense Minister Hulusi Akar said on Monday. Akar also told a conference in Washington that Turkey expected to remain not just a buyer of advanced F-35 stealth fighter jets but also one of the partner countries involved in its production, despite U.S. warnings that it would be shut out of the F-35 project if it buys the Russian S-400 defense system. Turkey is carefully studying an offer from the United States to buy Patriot missile defense systems, Akar added. "Threats, ultimatums and deadlines do not help and they are not in line with the alliance's spirit," Akar said at a conference on American-Turkish relations in Washington where he discussed Turkish procurement of the Russian S-400 missile defense system and increased pressure the U.S. has put on Turkey because of its decision. "We believe this issue can be solved through constructive dialogue," he said of talks with its NATO ally. Following protracted efforts to purchase air defense systems from the U.S. with no success, Ankara decided in 2017 to purchase Russia's system. 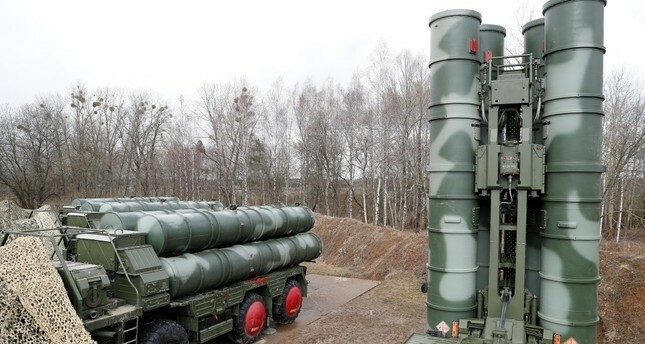 Washington warned Ankara of its purchase of the S-400 system, and early April suspended delivery of parts and other services related to the F-35 jets. U.S. officials suggested Turkey buy the U.S. Patriot missile systems rather than the S-400 from Moscow, arguing it would be incompatible with NATO systems and expose the F-35 to possible Russian subterfuge. "A possible safe zone should address Turkey's national security concerns," Akar said in regards to the establishment of a safe zone along the Turkish-Syrian border.